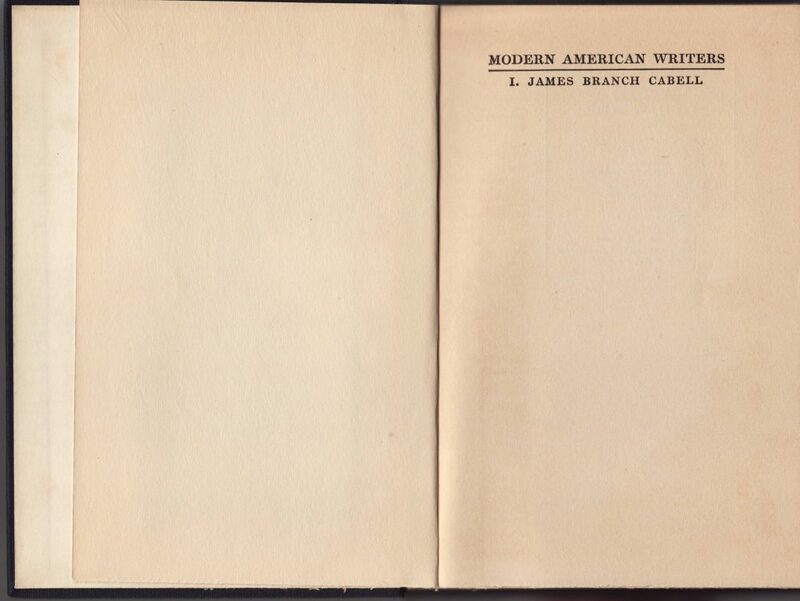 The Modern American Writers series consisted of eight literary biographies, all first published in the series between 1925 and 1930. The series was edited by Ernest Boyd, who authored the series title on H.L. Mencken, a friend of Boyd’s who inspired his literary career. Boyd, originally from Dublin, migrated to the U.S. in 1920 and began a career as a literary critic. He wrote for the American Mercury, edited the American Spectator, and wrote introductions to a large number of books in series such as the Modern Library. Titles in the Modern American Writers series have relatively stoic but unique jackets for each title, featuring a portrait of the subject of the book on the jacket and in the book, as a frontispiece. 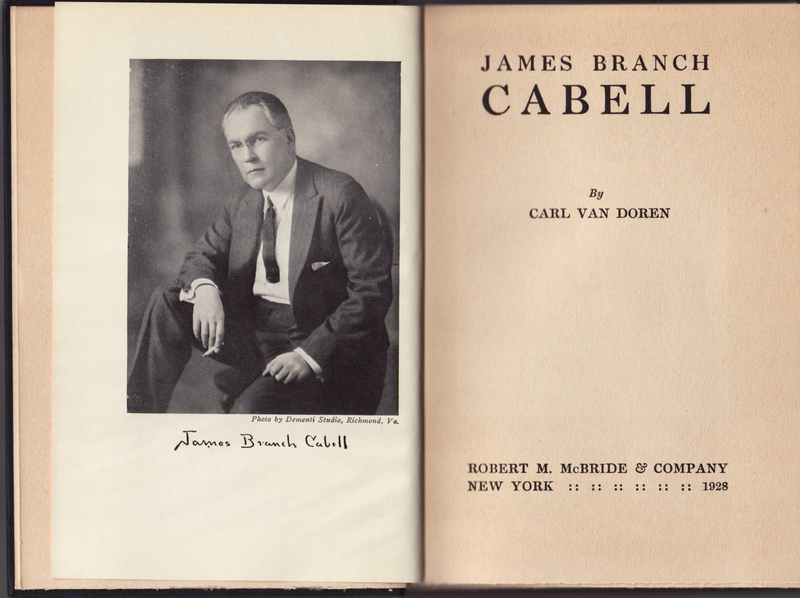 This title, James Branch Cabell by Carl Van Doren, was originally published in 1925 (the first title in the series) and reprinted at least two times: 1928 in this case. The series name is indicated on the jacket spine, as is “Third Printing.” The printing indicator is also included on the jacket front. 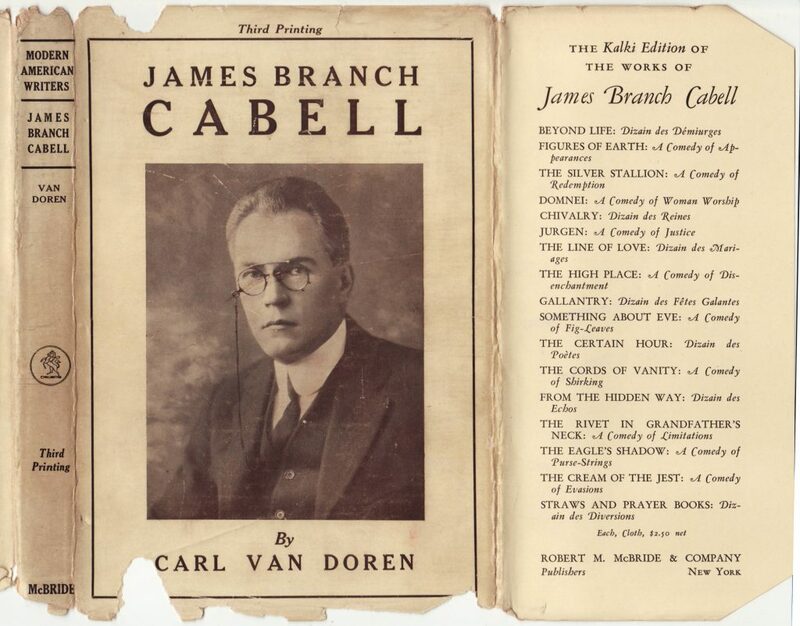 The front jacket flap advertises, in this case, the “Kalki Edition” of the works of James Branch Cabell, the subject of this book, published by McBride. 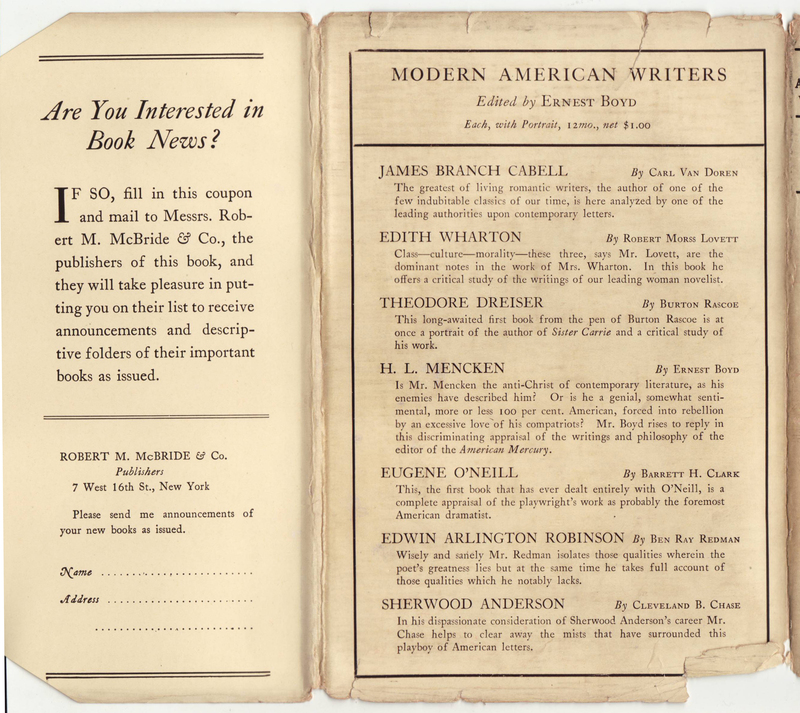 The rear jacket flap provides a coupon to receive promotional mailings from the series publisher, Robert M. McBride & Co. Dark blue cloth bindings include minimal typography stamped in gold. The series name is included on the book’s spine. The half title page includes the series name and subject of the book. 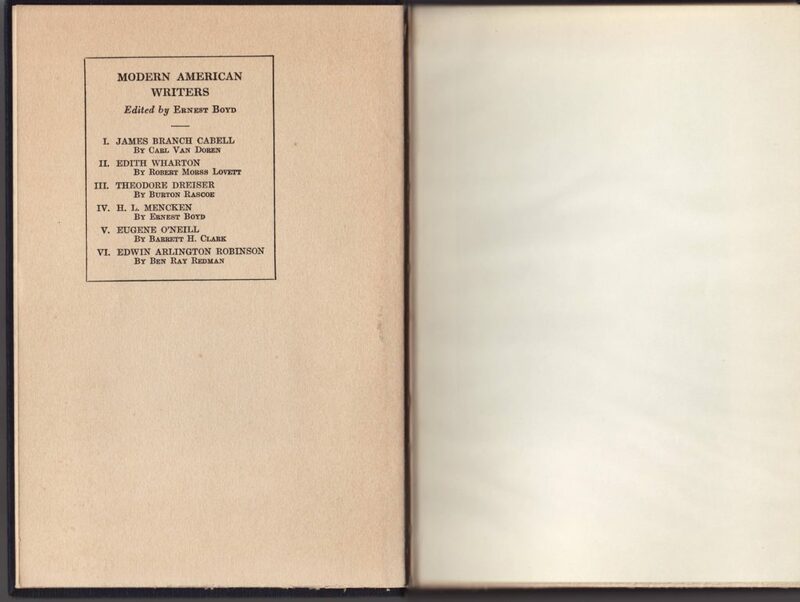 A photograph of the author, printed on glossy paper, is inserted before the book’s title page. 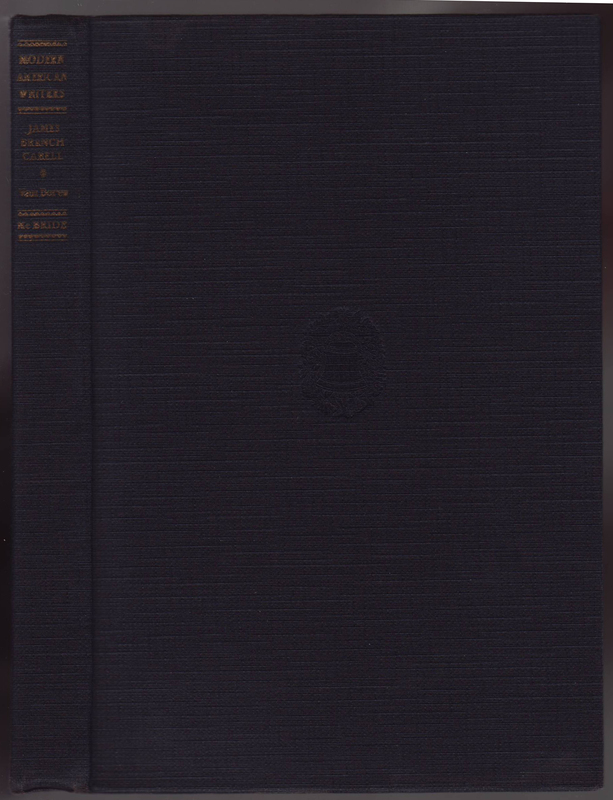 The title page includes the year of publication. 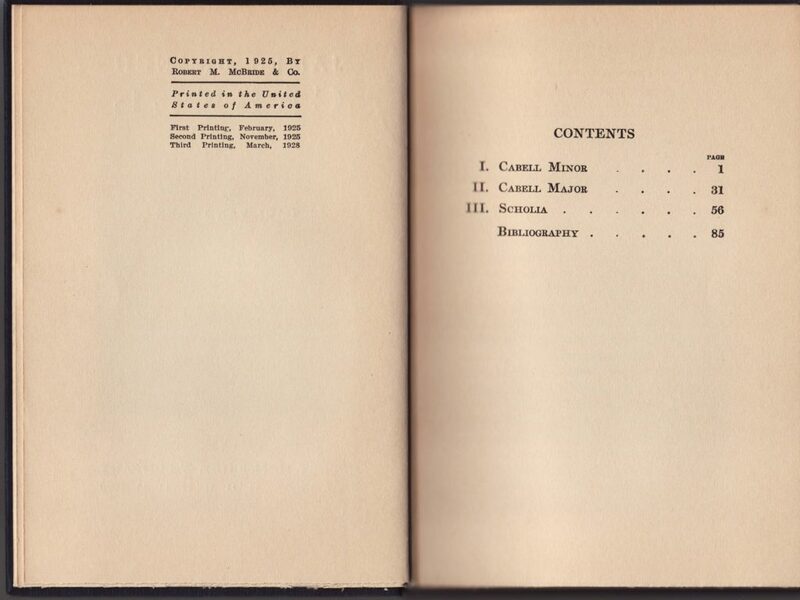 The copyright page includes the original year of publication (1925) and indications for the 2nd and 3rd printings.